Summer is going to be here in a few weeks, and the farmer’s markets will be offering you some of the most fabulous produce and fruit ever! You may find yourself unpacking all that fun food, thinking “what am I going to do with all of this!”. Undoubtedly preservation of our produce is paramount to keeping it cost effective, so when shopping at the market be mindful about the quantities of food you are bringing home. In meantime, let’s put some of those vegetables to work! The title of this recipe refers to peanut in quotations and that is because we will not be using peanuts. After traveling down this paleo road, I subtracted peanuts from my diet and have never looked back. The recipe I’m going to provide is made with almond butter and personally I think it’s much better prepared this way. *Note-this recipe is HIGHLY versatile, so feel free to add other ingredients like- shrimp, avocado, chopped nuts and basil. It really is “the sky is the limit” type of salad! 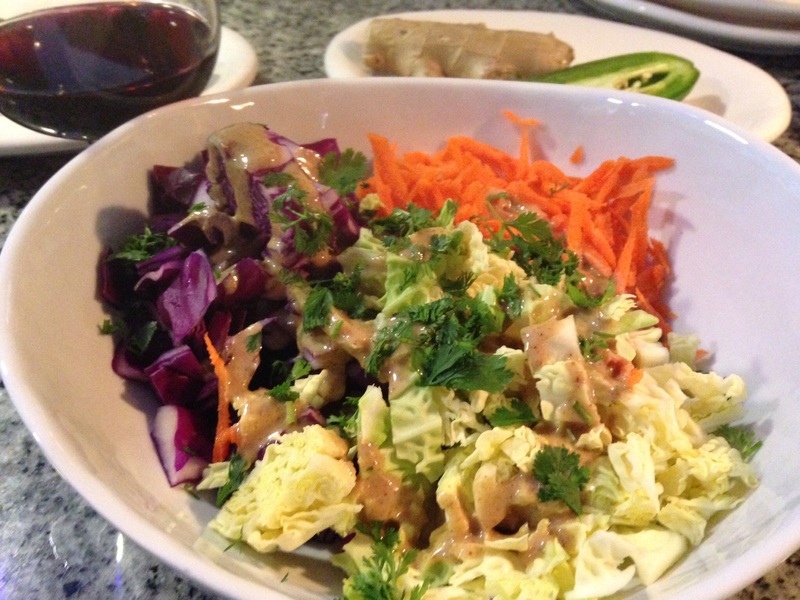 Mix the first 3 ingredients together, pour your “peanut” sauce over the salad. Top with cilantro, scallion and any other toppings you’ve decided on. Squeeze the lime over top and enjoy! Blend all of these ingredients at high speed until very smooth! 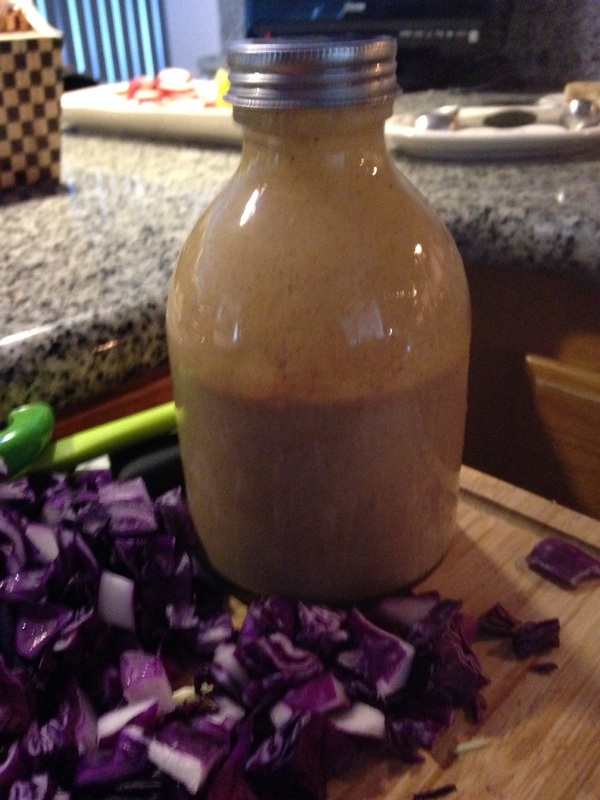 You can use this sauce for dipping veges, over salads and/or with the noodle of your choice! 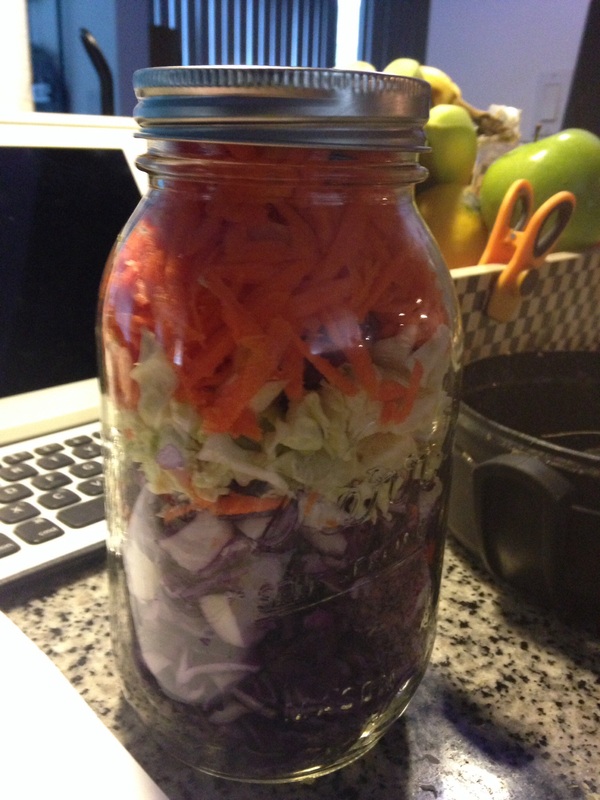 This makes an excellent lunch salad toted in a mason jar with your dressing on the side! Easy nutrition! I hope you enjoy this recipe and the many summer salad recipes to come!